Toshiba Satellite M50-187 Reinstall: How could such a simple procedure be so difficult? – Computer Problems? I can help. Toshiba Satellite M50-187 Reinstall: How could such a simple procedure be so difficult? As you may have gathered, I repair computers for a living, among other things. In this pursuit, with Windows computers, I frequently end up re-installing Windows fresh, meaning I back up the user’s data, erase the hard disk, install Windows, drivers and applications. Then I restore the user’s data. It’s a pretty standard thing and I’ve gotten quite adept at it. For the most part, manufacturers are quite helpful by having all the drivers for a particular model easily locatable and downloadable. My Google search history is littered with searches like “lenovo thinkpad driver download” “dell inspiron 1540 driver download” and so on. Naturally, yesterday after re-installing Windows XP on this Toshiba, I googled “toshiba satellite m50-187 driver download” and that’s when my troubles began. I’ve tried so many things at this point, that it’s hard to recall the exact steps, but i’ll try. I did get to the product page for the correct laptop, but only several hours later did I see the link to “Driver Downloads” over to the right in a neutral color. Meanwhile, I did see the horizontal menu option that said “Support & Downloads,” so I hovered over that and saw “Driver Downloads” and I got the following page. I clicked on the Support & Downloads option above and with three levels of filtering (“Satellite”, “Satellite M50”, “Satellite M50-187”) had the page I needed with the list of drivers. Yay! I downloaded them all and installed them one after the other, as I do all the time. Except…. There is no wireless card driver. There is a Wireless LAN Client Manager, but it’s hard to manage a device that’s not installed and working. I did try downloading this and installing it, but actually it made things worse: Windows User Fast Switching was disabled, it couldn’t be uninstalled, etc. So, I dug into my bag of tricks and visited pcidatabase.com. I plugged in the Vendor and Device ID found in Device Manager, and found it was the Intel Pro/Wireless 2200bg device. 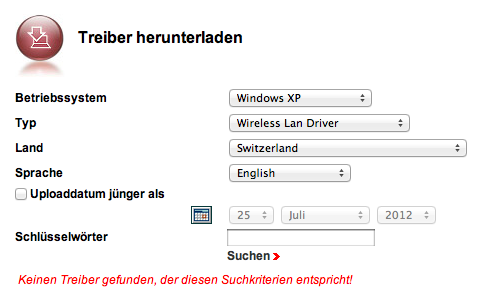 I went to the Intel Driver Update Utility Wireless page, asked to have my device auto-identified and guess what? It couldn’t. No information whatsoever. So, I tried to download it manually. I tried downloading from the Intel site, from other Toshiba sites, from cnet.download.com. Eventually, I did manage to download the driver I needed. Or I thought I needed. And when I installed it, things looked good. The yellow question mark in the Device Manager disappeared, but I still couldn’t use it. Disabled. Failed. Grrrrr. Finally, I confirmed that I had uninstalled all the drivers that I had previously tried and uninstalled this last driver as well. I rebooted, installed, saw the good indications that things were going right and rebooted. Wonderfully, it worked. No thanks to Toshiba. No thanks to Intel. But, come on, I do this for a living and had such a headache, can you imagine someone trying to do it themselves?!? 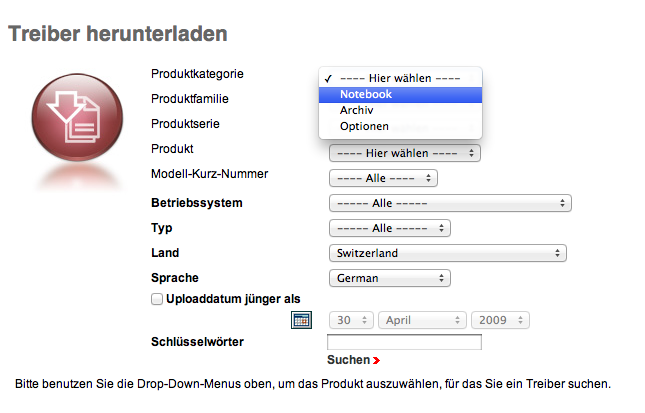 ‹ PreviousMac OS X Mountain Lion (10.8): Are you ready to upgrade? Hey am having same problems with a toshiba m50 187 driver issues can you help me out.I also want to install the drivers.